A US website described as "the world's largest code host," GitHub said it first noticed the so-called distributed denial of service (DDoS) attack Thursday, with intermittent disruptions over the past few days. On Monday, GitHub said the attack "has evolved" and that it was working to mitigate the flood of requests which appear to be aimed at shutting its down. GitHub said it believes "the intent of this attack is to convince us to remove a specific class of content." Some security specialists went further, saying it appears to be an attempt to block the use of anti-censorship tools in China. The security firm Insight Labs noted that massive amounts of traffic from the large Chinese search engine Baidu were "hijacked" in the attack on GitHub. "Even people outside China are being weaponized to target things the Chinese government does not like, for example, freedom of speech," the security firm said. Online security specialist Alan Woodward of the University of Surrey said on Twitter that the attack "seems to be coming from China aimed at pages censored—is this same as greatfire.org attack." Woodward was referring to the Chinese activist group GreatFire, which operates websites that circumvent the country's censorship, and whose online service came under attack this month. GreatFire allows residents of China to circumvent the so-called "Great Firewall" that censors much content from the West, by providing "mirror" websites of those which are blocked by censors. Researchers said the GitHub attack appeared to be aimed at knocking out censored sites including the Chinese edition of the New York Times and GreatFire. Security researcher Richard Bejtlich blamed the Chinese government for the attacks. "Even if somehow this is not a state-executed or state-ordered attack, according to the spectrum of state responsibility, the Chinese government is clearly responsible in one form or another," Bejtlich said in a blog post. GreatFire said meanwhile a statement that it believes the attacks are related and come from the Chinese government. 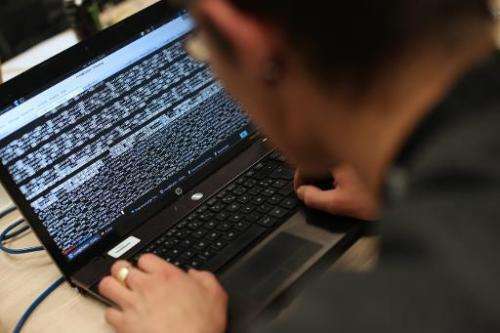 "We can now confidently conclude that the Cyberspace Administration of China (CAC) is responsible for both of these attacks," the statement said. GreatFire said the attacks involve hijacking of Internet traffic from around the world in an effort to bring down blocked websites. "The Great Firewall has switched from being a passive, inbound filter to being an active and aggressive outbound one," the statement said. "This is a frightening development and the implications of this action extend beyond control of information on the Internet."